Die Mörder sind unter uns was the original German title of the first post-World War II German film and the first Trümmerfilm. It was produced in 1945 and 1946 in the Althoff-Atelier in Babelsberg and in Jofa-Ateliers in Johannisthal. It was written and directed by Wolfgang Staudte. Berlin, in 1945 after Germany's defeat in the war. The former military surgeon Dr. Hans Mertens (Wilhelm Borchert) returns home from the battlefield to find his home destroyed. He suffers from the terrible memories of the war and becomes an alcoholic. A photographer and Nazi concentration camp survivor, Susanne Wallner (Hildegard Knef), finds him living in her apartment as she returns home and they soon become friends and roommates. Eventually, Mertens meets his former captain Ferdinand Brückner (Arno Paulsen), who had been responsible for the shooting of 36 men, 54 women, and 31 children on Christmas Eve of 1942 in a Russian village on the Eastern Front. He is now a successful businessman, producing pots out of oldStahlhelme. On Christmas Eve, Mertens tries to kill him, but Wallner stops him at the last minute. She convinces Mertens to have Brückner put on trial, and the two start a new life together. The film was shot in the ruins of Berlin. 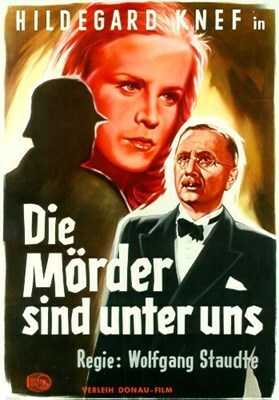 Originally the film was supposed to be named Der Mann den ich töten werde (The Man I will kill) and Mertens was supposed to succeed in killing Brückner, but the script and the title were changed because the Soviets were afraid that viewers could interpret that as a call for vigilante justice. 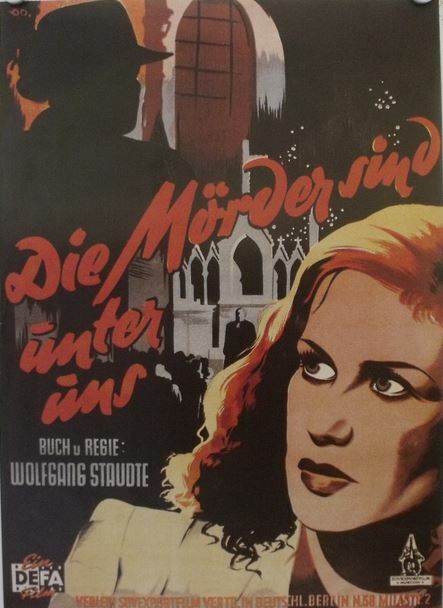 Murderers Among Us debuted on October 15, 1946 in the Admiralspalast, which was at the time the home of the Berlin State Opera, in the Soviet sector. The television debut in the German Democratic Republic was on November 1, 1955 and in the Federal Republic on November 18, 1971.